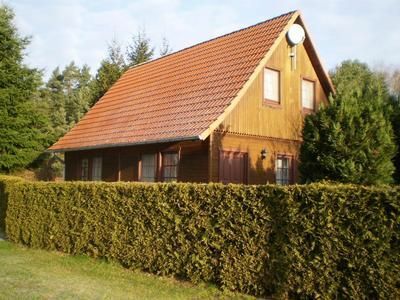 House beautifully situated in the beautiful forest and lake scenery of the "Nature Park Nossentiner- Schwinzer Heath" .The Villa with 2 separate apartments is located next to the forest on a large plot 1500pm. The many lakes and forests invite for swimming, biking, hiking, boating and walks. The parking at the House permits do fast load and unload the vehicle. Even the little ones are taken care of. The playground is located at the house, on a large green area. Final cleaning: once per object costs in the amount of 20 EUR (compulsory). Extra bed: per person and day included in the price (compulsory). Additional bed (per person per day, perform 0 EUR by the tenant).